Enjoy your whole day in sporty style and surefooted comfort with the Ghenter - Srelt from Skechers Work®. 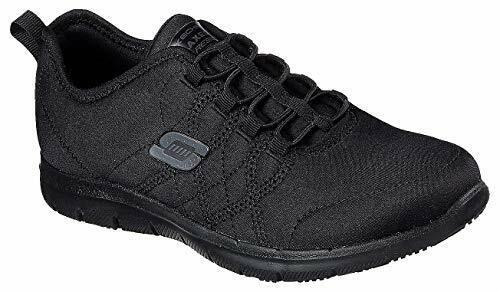 Casual work sneaker features the Relaxed Fit® design for a roomier, more comfortable fit and Air-Cooled Memory Foam cushioning. Soft heathered jersey knit fabric upper with water-resistant protection. Bungee stretch lacing for secure lacing or easy slip-on options.